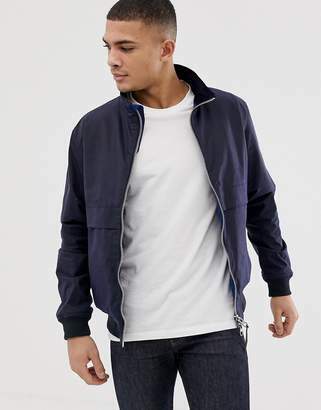 Jacket by Barbour, Perfect for your warm-weather rotation, Funnel neck, Zip placket with chin guard to help prevent chafing, Side pockets, Ribbed trims, Regular fit, No surprises, just a classic cut. With a rich heritage dating back to 1894, quintessentially British brand, Barbour have garnered a reputation for quality and durability, across their collection of high performance outerwear. Expanding their country-wear roots, Barbour rework their original cuts in contemporary nylon and leather finishes, whilst the Heritage line champions the brand's signature style with classic quilted jackets sitting alongside the waxed cotton Beadnell.